Andi Under the Big Top is book 2 of the Stepping Stones. I have wanted to write an Andi circus story for a long time, and this was my chance. Have fun and leave a comment. Tell Andi what you'd like her to add (or what she forgot to include). Click the links to explore! THE CHARACTERS Andi's friend Sadie takes a back seat in this story (she's not in the book), but a new young friend appears. His name is Henry, and he is an orphan boy. Read more about him on the characters page. 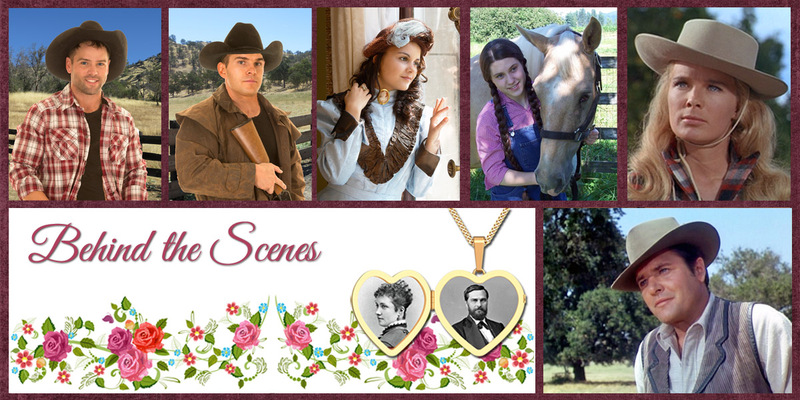 THE SETTING It's so fun to show real-life behind the scenes looks at 1870s circuses! There are also a couple of fun links over to my website, where you can hear the sound of a real calliope, and listen to the classic song "The Man on the Flying Trapeze." Enjoy the trip back in time! BEHIND THE SCENES Cover fun for the Big Top story. See the cover flat and how I made the back cover picture using a real old-time circus poster. Yes, these covers were a lot of work. I'm blessed the my publisher, Kregel, used them pretty much in their entirety. 1. The link to Toby Tyler: or Ten Weeks with the Circus, the 1870s book that inspired the 1960 Disney movie, Toby Tyler. It's a free public domain book. OR . . .
2. Download Ten Weeks with the Circus for free on your Kindle from Amazon. (That's how I got it). You can also download the free Kindle app to read the story on your tablet or computer. 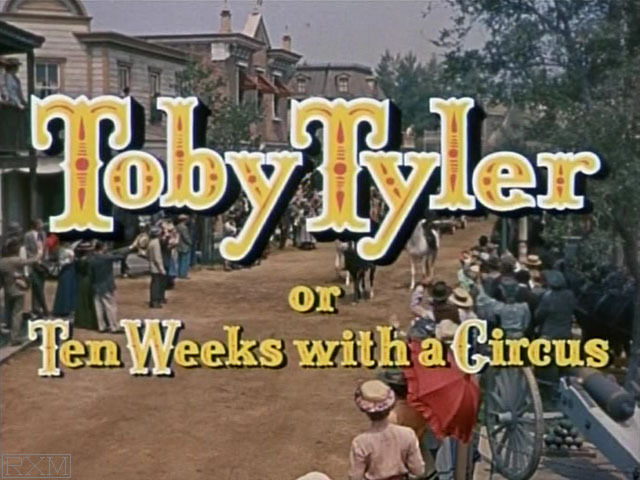 I read Toby Tyler: or Ten Weeks with the Circus and used many of the ideas in Andi Under the Big Top. This book is the reason I have no popcorn or candied apples for sale on the candy vendor's tray. If the 1870s author did not mention those treats for sale, then I don't think they were available. 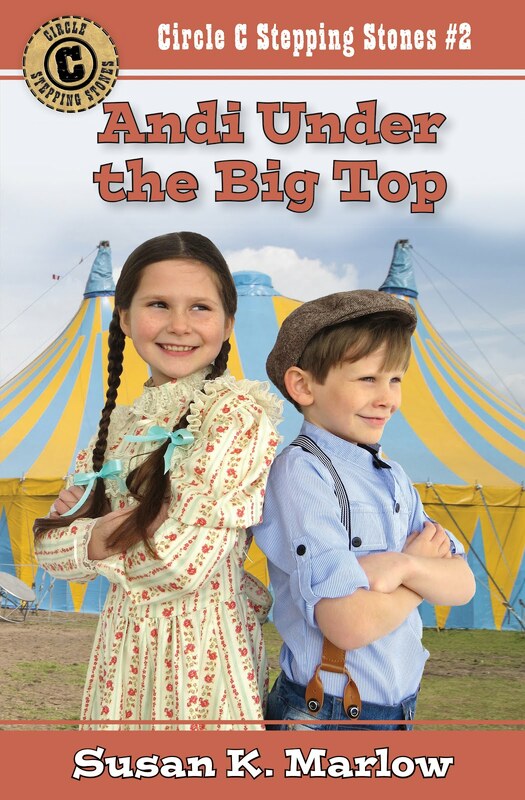 I have tried to make Andi Under the Big Top as historically accurate as possible, and this book was a fantastic source. It was a children's book in the 1870s (probably written for the purpose of dissuading boys to run off with the circus), and it's an easy read. This is one of my favorite kid movies of all times. 3. 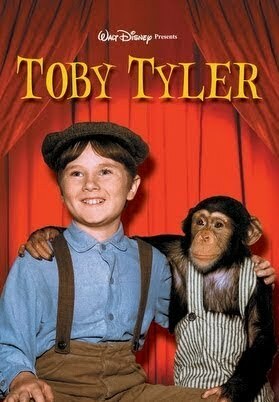 The link to Toby Tyler, the Walt Disney movie that inspired this story. I LOVE THIS MOVIE! Can you see how "Henry" on the cover looks a lot like Toby Tyler on the video cover? Yes, that is intentional. The movie is $3.99 to rent from Amazon streaming. If you decide not to rent the movie, you can click the "watch trailer" button. It's pixelated pretty badly on my computer, but maybe it will be clear on your device. "Andi Under the Big Top" is one of my favorite Stepping Stones books! Thanks for these posts and links, Mrs. Marlow! Thanks Mrs. Marlow! I would love to get the Stepping Stone series sometime. Would the Stepping Stone books still be interesting for a 12 year old girl like me?? Absolutely! My granddaughter was 12 when the first two Stepping Stones came out. She was doing the Goldtown Adventures at the time for school (with lapbooks and workbooks) and asked if she could please do the Stepping Stones books instead. She and her sister (Julie-Andi) love them. And "Ellen" above is 14, and she loves them too. Great stuff. Fun and informative.